NEW YORK -- The Harlem Alhambra was significant in the New York jazz scene. Starting as a vaudeville theater in 1905, an upstairs ballroom opened in 1926 which became an important performance venue for various black jazz performers, including Billie Holiday, who served as a headline act, and Bessie Smith. The venue became one of the two leading dancehalls in New York City and hosted many popular jazz musicians and bands. Furthermore, unlike most jazz clubs in the city which barred black customers, The Alhambra welcomed both black and white guests (albeit on alternate nights). After the Jazz Era, the building fell into disrepair. 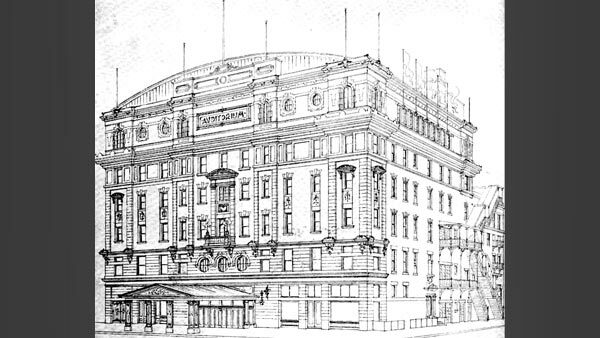 However, it was repaired and reopened in 2003 as the Alhambra Ballroom. The building now functions as an event venue.